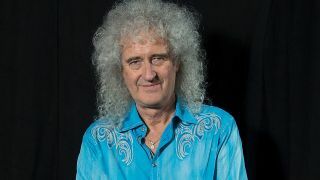 Brian May has opened up to Classic Rock magazine about the making of new Queen biopic Bohemian Rhapsody. In an exclusive interview taken from the latest issue – which takes a forensic look inside the real story behind the film – May was asked how watching the movie made him feel, to which he responds: "Joy and horror and sadness and all those big emotions." The guitarist continues: "I’ve seen it hundreds of times now, in fragments and eventually coming together, and it still gets me. It’s very emotional. It’s all about Freddie. Yes, we are in there, but the story is about Freddie and that was always the aim. "Obviously Freddie is so precious to us. One of the great breakthroughs early on was screenwriter Peter Morgan saying, 'This is a film about family.' It’s about all the stuff that happens in a family – some good, some bad, the going away, the searching for independence and then the nurture of the family." May adds: "It’s a film about that stuff, on one level, and then it’s about Freddie’s emerging talent, his amazing resilience and sense of humour." When asked if he felt Freddie Mercury would have approved of the film, he replies: "I think he would have felt it was a fair cop. It shows all his greatness and all his fallibility and insecurity – the whole bit. "I think it shows him very truthfully and not sycophantically, but in a way that appreciates his talent. Because he was sure was unique. I’ve never met anybody like Freddie in my life, before or since, and it’s probably not going to happen again." You can read the full interview, plus the Bohemian Rhapsody cover story, in the current issue of Classic Rock. The latest edition is available now and looks back at the band’s first 15 years, from just another band of hopefuls, to global superstars, through worrying slump to ruling Live Aid.